The Coronet Super Bee 1969 was a Coupe model developed and introduced by Dodge in the year 1968 to compete against the then highly popular Plymouth Road runner. The reasonable price tag and unique design of the muscle car was supposed to appeal to the customers. The name “Super Bee” was coined by Dodge studio designer Harvey Winn based on the B-body chassis of Chrysler’s mid-sized cars which included the Coronet. He is also credited with designing the Super Bee brand logo. 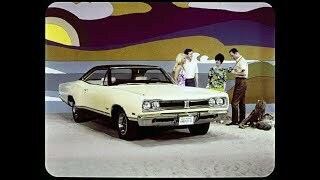 The Dodge Super Bee was based on the Coronet convertible and gave a hard time to the Plymouth Roadrunner. The Roadrunner was a bit lighter than the Super Bee and had a comparatively smaller wheelbase. The car exterior was quite similar for both muscle cars but the Super Bee sported a more stylish look with bold grille and bumblebee tail stripe. 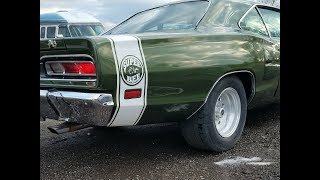 The most striking feature of the Super Bee’s body were the chrome plated Bee medallions prominently visible in the front and rear portions of the car. The car interior was also very stylish and was equipped with racing speedometer and gauge cluster similar to the Dodge Charger. 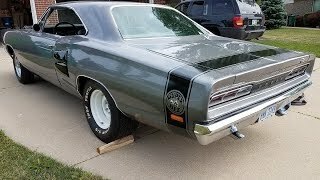 Under the hood, the 1969 Super Bee offered three engine choices, the 440 cubic inch V8 Magnum, 426 cubic inch Hemi V8 and the 383 cubic inch V8 which generated power outputs of 390 HP, 425 HP, 335 HP respectively. 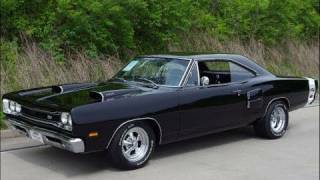 The variety of exclusive components provided with the Dodge Super Bee made it more expensive than the Roadrunner and also affected its sales over the years it was produced. However the stylish bold Super Bee did manage to change the muscle car segment with its unique design and also improved the brand name of Dodge for many years to come.